Letters in the name Christoph Brech in alphabetical order. In a playful manner, the question of personal identity is posed: what significance has a name or a signature in a society whose systems consist of codes. 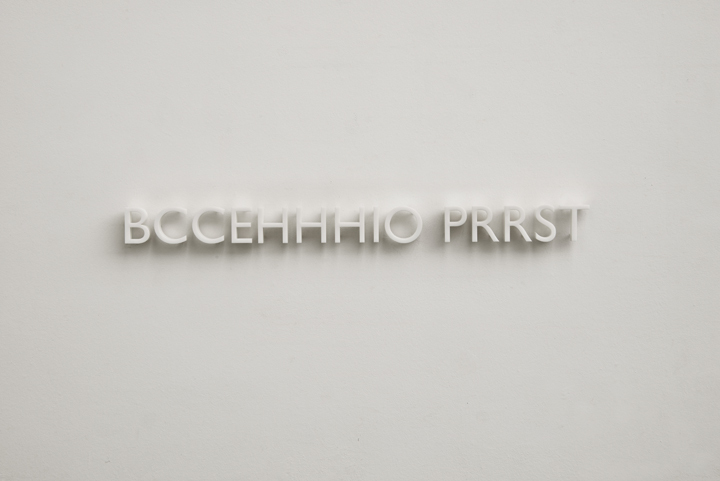 In hommage to Bruce Nauman and his works with the letters of his own name.